Plans are firming up for a huge Joe Hill Centennial Celebration Saturday, Sept. 5, in Salt Lake City, Utah, with eight acts committed for a day-long free concert on the main stage, and several more on a side stage. 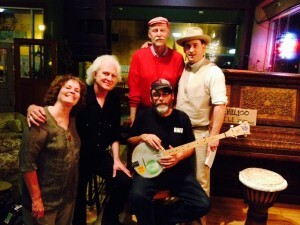 The free concert will be held Noon to 8 pm at Sugar House Park, on the site of the now-demolished prison where Joe Hill was murdered by Utah authorities 100 years ago. Judy Collins will headline; other committed performers include Anne Feeney, Mark Ross, David Rovics, Joe Jencks and Mischief Brew perform on the main stage; additional performers (including an entire side stage) to be announced. 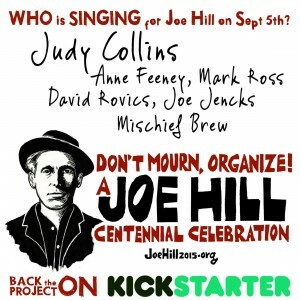 three copies of the Joe Hill Centennial concert posters?